If you’ve ever put garden soil into a container, then you are probably already aware that it does not make a good medium for potting plants in containers. Garden soil separates from the sides of the container, does not have good aeration throughout and compacts down when placed in containers, making it difficult to water the plants. If you don’t want to purchase commercially made potting soil, there are alternatives. Compost is the decomposed remains leftover from organic materials such as grass clippings, kitchen scraps, sawdust, wood chips, straw and fallen leaves. As these materials break down, they turn into a fine, loamy, material that has the consistency of soil. Compost is full of nutrients and has a neutral pH. Compost is frequently added to garden soil or as a top-dressing mulch to return nutrients to the soil that growing plants remove. Make sure compost is completely finished, and has no large chunks in it before you add plants to the soil. Unfinished compost has microbes in it that can damage the roots of plants. Peat moss is similar to compost in that it is made up of decayed plant material. Peat moss forms in bogs and is harvested and dried for commercial use. Unlike compost, peat moss is slightly acidic and has a lower nutrient value. Peat moss is light and fluffy, which is good for aeration of soil. For this reason, peat moss is frequently added to the soil of gardens with either heavy clay or sand to reduce soil compaction, improve aeration and water retention. There is some concern among environmentalists that peat bogs could become depleted from the frequent peat harvests. 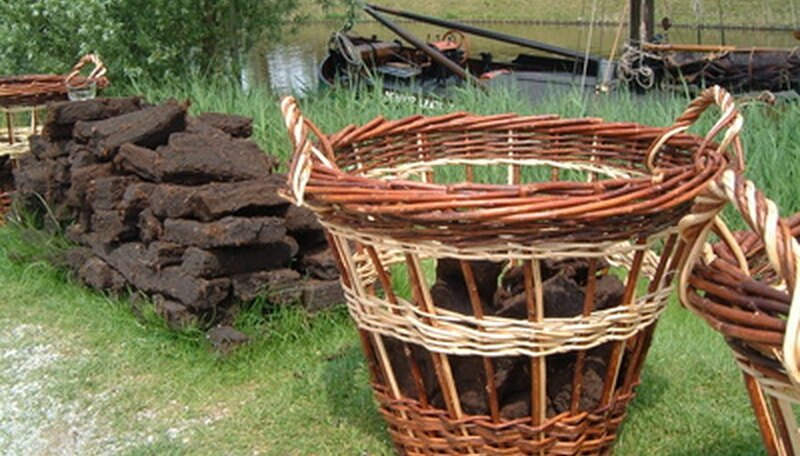 Because of this, some peat substitutes have been made using coir fibers, which come from the husks of harvested coconuts. Sand is a good alternative to potting soil for succulents with low moisture requirements such as cacti, hens and chicks or aloe plants. Although sand is low in nutrient content, it is well drained which helps to prevent root rot in the plants. Sand is one of the preferred substrates for hydroponic gardening. During infrequent watering periods, you must supplement sand with liquid fertilizer so that the plants growing in it will receive some nutrient benefit. Sand’s performance as a potting soil substitute improves when it is mixed with peat moss or compost.